Welcome to the Mountain Top Soccer Club! COED 1-9 During the Fall season, we offer soccer for boys and girls in grades 1-9. Depending on the age group, matches may be played on small or mid size fields in a 4v4, 7v7 or 11v11 formation against an opposing team. Please note the format of 4v4 with no goalkeeper is mandated for age 8 and younger. Games take place on your selected weekend between 12-5 PM at a West Orange field. Teams are coached and managed by parent volunteers. The volunteer coach will also hold one practice during the week. This program is for children interested in playing soccer games at a recreational level and is run by parent-volunteers. If you're interested in volunteering, please click here. Grades 1-6 qualify for the additional training program described below. GIRLS 3-9 During the Fall season, we offer a girls only program for grades 3-9. Depending on the age group, matches may be played on mid size fields in a 7v7 or 11v11 formation against an opposing team. Games take place on your selected weekend between 12-5 PM at a West Orange field. Teams are coached and managed by parent volunteers. The volunteer coach will also hold one practice during the week. This program is for children interested in playing soccer games at a recreational level and is run by parent-volunteers. If you're interested in volunteering, please click here. Grades 1-6 qualify for the additional training program described below. NEW! ADDITIONAL TRAINING Additional training by professionally licensed trainers during the week is now available for each age group. This is not required, however this program will give your child a chance to be trained by the same professional coaches that participate in our travel team. This option is only available to registered players already on a team program and cannot be registered for independently. This practice helps to suppliment your volunteer coach's practice schedule and has been modeled after our very successful 3v3 program. NEW! 4v4 SUMMER TRAINING This is a new program for boys and girls ages 6-12. The 4v4 soccer program is an hour long training session held at Edison Middle School. The 60 minute session will consist of roughly 20 minutes of training by a professionally licensed instructor followed by 40 minutes of 4v4 games. Kids will not be assigned to specific teams but rather broken into teams/groups the day of the training. Besides the one day you select, you can add a second session at checkout for an additional fee for a very well rounded summer soccer experience. COED 1-5 During the Spring season, we offer soccer for boys and girls in grades 1-5. Depending on the age group, matches may be played on small or mid size fields in a 4v4 or 7v7 formation against an opposing team. Please note the format of 4v4 with no goalkeeper is mandated for age 8 and younger. Games take place on your selected weekend between 12-5 PM at a West Orange field. Teams are coached and managed by parent volunteers. The volunteer coach will also hold one practice during the week. This program is for children interested in playing soccer games at a recreational level and is run by parent-volunteers. If you're interested in volunteering, please click here. Grades 1-5 qualify for the additional training program described below. GIRLS 1-5 During the Spring season, we offer a girls only program for grades 1-5. Depending on the age group, matches may be played on mid size fields in a 4v4 or 7v7 formation against an opposing team. Games take place on your selected weekend between 12-5 PM at a West Orange field. Teams are coached and managed by parent volunteers. The volunteer coach will also hold one practice during the week. This program is for children interested in playing soccer games at a recreational level and is run by parent-volunteers. If you're interested in volunteering, please click here. Grades 1-5 qualify for the additional training program described below. Space is limited and registration will close once all available spots are filled. Please don't wait to register. Besides siblings, we are unable to honor specific requests for teammates or coaches. 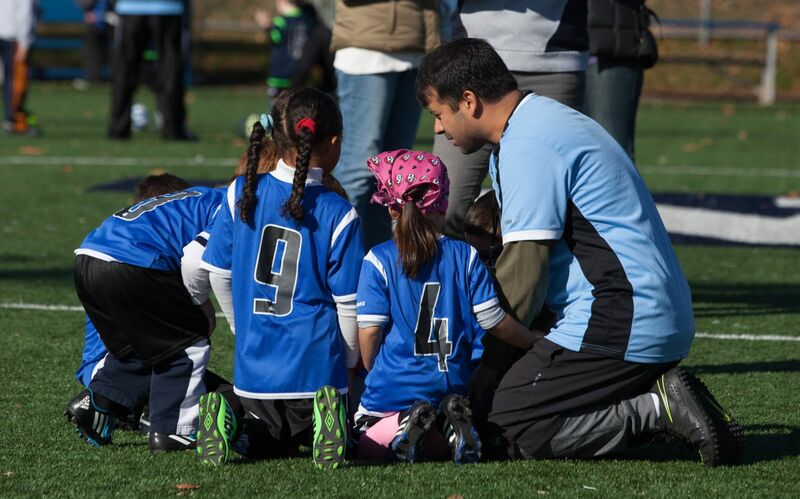 Volunteer coaches are permitted to request one player besides their own child. NO SPECIAL REQUESTS ARE ACCEPTED! Little Kickers and grades 1-2 recieve uniforms, shorts, socks and shin guards. Grades 3-9 receive uniforms, shorts and socks but no shin guards. All ages need to bring their own ball and cleats. 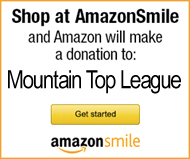 Mountain Top League has a strict no refund policy. By registering, you agree that Mountain Top League may use you or your children's likeness that may have been captured in a photo or video at a Mountain Top event for promotional reasons without monetary compensation.